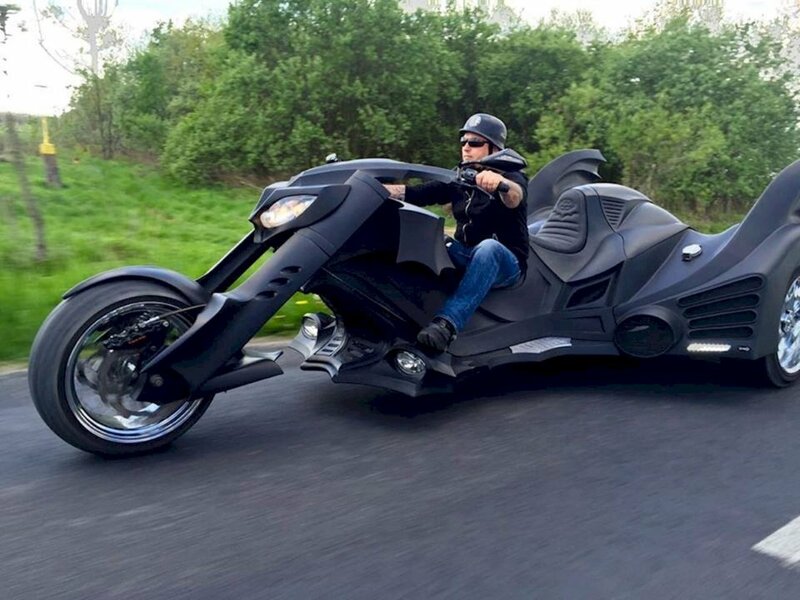 This custom Batman trike is worthy of the movie screen. 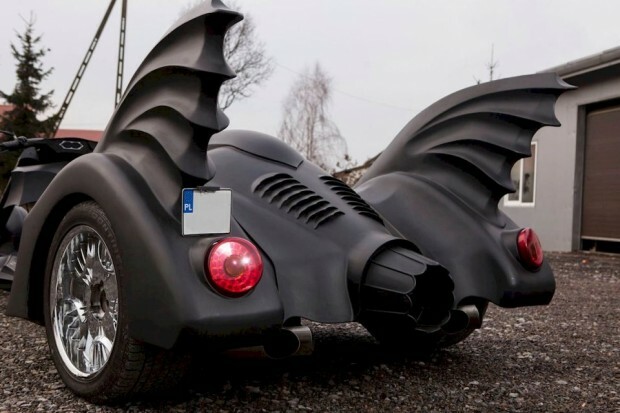 It was made by Game Over Cycles, a Poland-based shop that restores and customizes motorcycles and vintage cars, making them look amazing and badass. 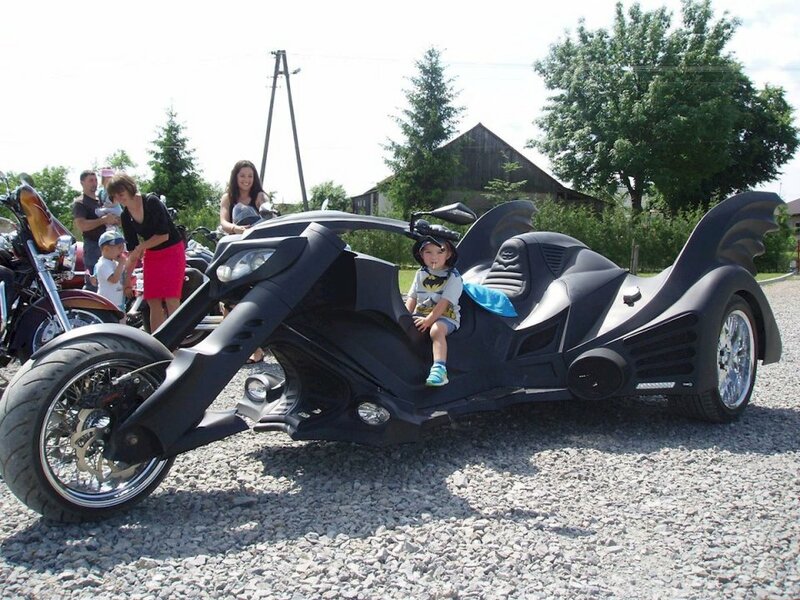 This trike is the perfect three-wheeled interpretation of the Keaton-Burton style Batmobile. 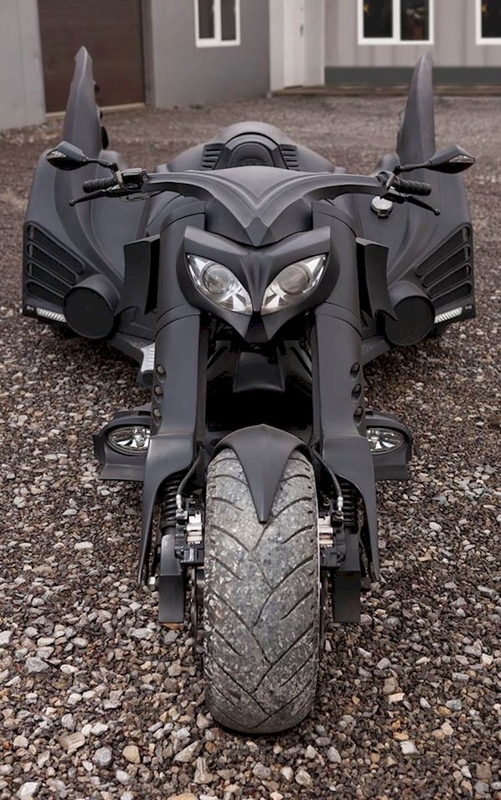 It is Bat-tastic! 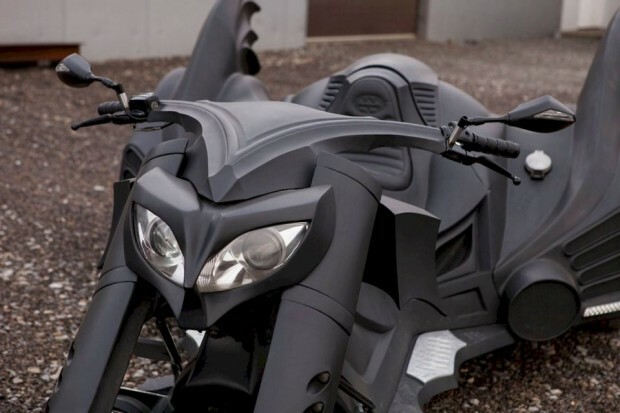 It has two seats, so you don’t have to leave Robin at home doing the dishes. 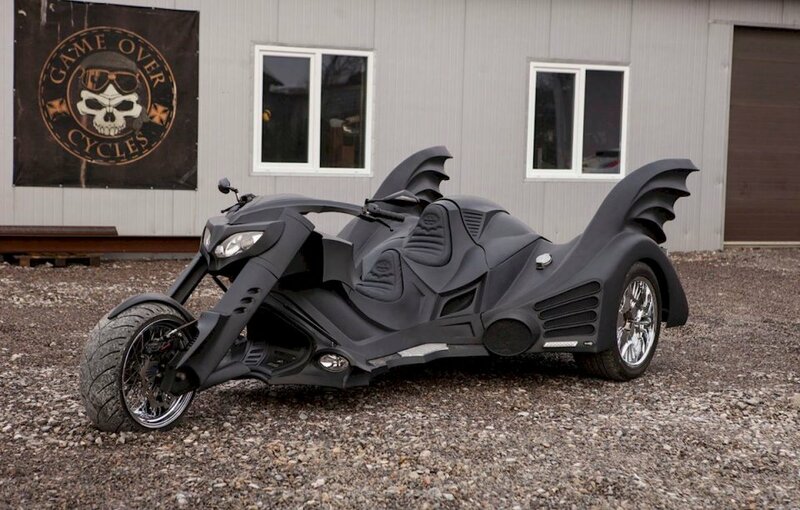 Or, maybe you can and there’s still room for your butler in back. I just love the lines on this thing. In that dead-on shot below, the headlights look like eyes. Cold, menacing eyes of brooding justice. Man, I wish I could afford toys like this!